Cerebrovascular Accident or commonly known as Stroke or Brain Attack is the leading cause of disability and the second leading cause of death in the Philippines according to the Stroke Society in the Philippines. 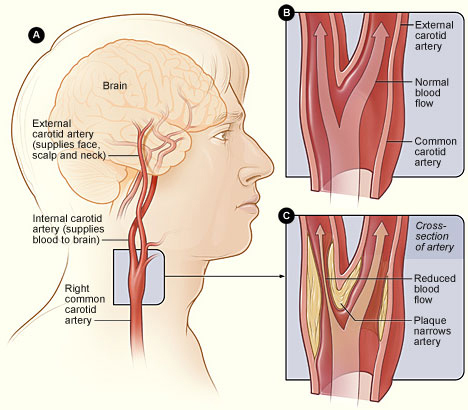 Stroke happens when an artery supplying the brain is blocked causing neurological deficits like paralysis and weakness. Brain attack and Heart Attack are commonly interchanged by most people. Some people call heart attack as stroke. Heart attack is somewhat like stroke, the only difference is the location. Heart attack is known as Myocardial Infarction, wherein there is a blockage of one or more arteries supplying the heart. The common risk factor of these both deadly disease is arteriosclerosis or thickening and hardening of the arteries. Include to the risk factor list are: Hypertension, Diabetes Mellitus, Stress, and Obesity. As you can see, the risk factors for these diseases are highly modifiable. Nurses should emphasize and raise the awareness of their clients that these disease are very preventable. How can we easily diagnose CVA/Stroke/Brain Attack? What are the common assessment tools for Stroke Patients? National Instituted of Health Stroke Scale (NIHSS). Modified Ranking Score is used to measure the disability of the person who suffered from brain attack. The scoring is from 0-6. The nurse asks the patient if he/she is able to carry out activities of daily living (e.g. bathing, eating, going to work, and banking) without the help of other persons. 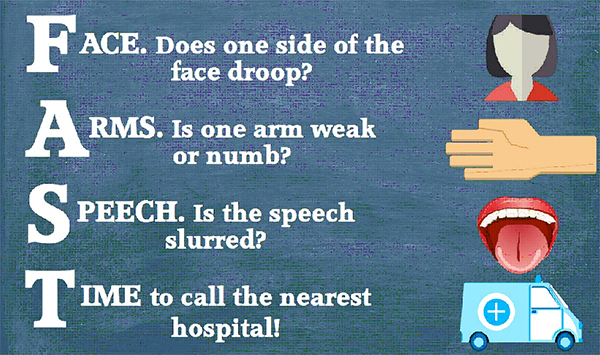 If the patient has no symptoms of stroke at all, his/her score is 0. If the patient is severely disable, he/she is scored 5. The score of 6 means the patient is dead. 0 No symptoms at all. This wonder drug is a proven therapy for acute stroke. t-PA is useful in minimizing the size of the infarcted area by opening blocked vessels that are occluded with the clot. Treatment must be started within 3 hours of initial symptoms to improve outcomes. The stroke should be an acute ischemic attack with onset at least less than 3 hours. A significant neurologic deficit expected to result in major long term disability. IV (adults): 0.9 mg/kg (not to exceed 90 mg) given as an infusion over 1 hour with 10% of the dose given as bolus over the first minute. What are the usual work-up before this drug is given? What are the important nursing considerations before and after this drug is administered? Clarify orders especially abbreviated words. Have other practitioner check the original order, dosage, and infusion pump setting. Always use the read back method in carrying out orders. Make sure all blood and diagnostic procedures are done, before the administration. Assess neurologic status throughout therapy. Altered sensorium may indicate intracranial bleeding. If intracranial bleeding is suspected, notify physician immediately and prepare for stat CT scan. If local bleeding occurs, apply pressure to site. If severe bleeding occurs, check CBC, PT, PTT, platelets, fibrinogen and D-dimer. Prepare for infusion of fresh frozen plasma, cryoprecipitate, and platelets. Administer Aminocaproic Acid as an antidote. Why take all the risk of thrombolytic administration if we can prevent stroke? So, what should we do to prevent stroke? The best way to prevent stroke or brain attack is to eliminate the risk factors. And we all know that Arteriosclerosis Hypertension, Diabetes Mellitus, Obesity can be highly prevented through a lifestyle and diet change. What are the foods that you should encourage? So, what will be the foods that you should discourage or should be taken moderately? Following this healthy diet, together with physical exercise, getting enough rest, and drinking lots of water will keep you away from circulatory diseases such as stroke or brain attack. Deglin, J. & Vallerand, A. (2007). Davis’s Drug guide for nurses. F.A Davis Company. Philadelphia. 10th edition. Doenges, M., Moorhouse, M. & Murr, A. (2006). Nursing Care Plans. Guidelines for Individualizing Client Care Across the Lifespan. F. A. Davis Company. Philadelphia. 7th edition. Silvestri, L. (200). Saunders Comprehensive Review for the NCLEX-RN Examination. Saunders Elsevier. 4th edition. Stroke Society of the Philippines. (2010). Guidelines for the Prevention, Treatment, and Rehabilitation of Stroke. 5th edition.